Choosing a paint color for the interior or exterior of your home can be a difficult task, but it is one of the most crucial steps in the house painting process. While testing paint colors directly on the surface you’re painting can be a great way to select the perfect shade, hue, and sheen, many homeowners wonder if they can test out colors without having to touch paint to their walls. The good news is that you can successfully select the right paint color without having to actually paint at all. The following paint color testing tips will ensure that you love the color you select for your next painting project. Head to a paint or home improvement store to buy your sample boards or use a scrap board from home. You can also buy thin adhesive-backed paint sample boards so you can easily stick them to the surface you will be painting. This is the next best thing to actually painting your walls, but you won’t be left with large squares of paint on your wall that you will just have to cover later. Plywood, cardboard, and poster board are also great choices for testing out paint colors. Tip: Be sure to paint the entire board so you can see exactly how the paint will look. If you leave areas unpainted, it can throw off the color appearance. Paint your sample boards. You can use the free foam brushes provided by the paint store or use a roller/paint brush for a smoother finish. Don’t try to decide on a paint color until the paint is dry. Allowing enough time for paint to dry thoroughly (about two hours) will give you a chance to see exactly what the color will look like. The color of wet paint can look completely different than when it’s dry. Be sure to look at your sample boards at different times of day. This will help you choose a hue that you love morning, noon, and night. The way paint looks in broad daylight can sometimes differ drastically once night falls or when artificial light is used. Leave the boards on your walls for several days so you can see what it will be like living in a space with your selected colors. Move and match the boards. Sample boards are great when you need portability. Because paint colors are affected by your lighting, decor, and other interior design factors, moving your boards next to your window treatments, furniture, carpet, art, cabinets, countertops, and other fixed elements will help you gauge whether or not a color is right for your space. If you haven’t purchased furniture or room decor, take your sample boards with you while shopping. This will help you choose the most complementary pieces with similar undertones. Try not to be swayed by your old color. Try placing the boards at angles and positions so you won’t see too much of your old color. Homeowners tend to compare new paint colors to old ones, but this can mess with your perception. Remember, once you paint, you will never see the old color again. So, forget about that old color when choosing your new one. If you are still having a hard time deciding on a paint color, you should consider scheduling an in-home paint color consultation with a professional color consultant. A high-quality painting company will offer free in-home paint color consultations with experts who understand the hottest color trends to help you choose the perfect hue. 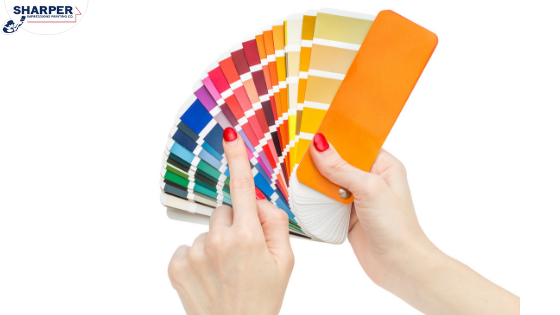 Your color consultant will bring about 3,000 paint color samples to your home. Then they will tour your home and look at the furnishings, your roof and lighting to help you make a good color selection. They will then sit down with you for up to an hour to go over all of the color options. When your consultant leaves, you will have the confidence you were looking for in your new color choice. Tape the sample swatches to every wall. This will allow you to see how light hits the paint colors from different angles throughout the day. Always ensure that you get the largest paint swatches the paint store offers. The small one-inch versions just don’t give you enough color space to make a decision. The larger, nearly full sheet swatches are the best. Keep the sample swatches up for several days. Doing so will allow you to see how the colors look in the morning, afternoon, and nighttime. It’s always a good idea to ask your friends and family what they think before you make a final decision. See how the paint color looks with artificial light. Not all rooms have an abundance of natural light. Test out each swatch under the room’s artificial light sources so you can make a sound decision. Technology is now making it even easier to visualize paint colors without having to paint the exterior of your house or interior walls. Your professional painting company should offer the option to photoshop your home with colors you are trying to decide between. Simply select the colors you like, email photos of your house or interior space, and the painting company will create a digitally-painted picture of your home with the new colors. This process allows a very hands-off approach to help you find the perfect paint shade for your home. Hiring professional painters can make the color selection process even easier with their digital painting services, paint color consultations, and sample board paints. After you have decided on a few different paint colors and hired your painters, you can take advantage of these free services and more. If you need help with testing paint colors on your home, call Sharper Impressions to schedule a free estimate or get a free painting quote today!